If you have any questions about the Winning Drive information page below please contact us. Measuring almost 40 meters in length, the splendid motor yacht Winning Drive is a Westport 130 semi-displacement vessel, constructed by the respected US builder Westport Shipyard in 2007. Previously known as Susan B, Winning Drive superyacht is designed by William Garden as well as Gregory C. Marshall. Her beautiful interior is by Pacific Custom Interiors. 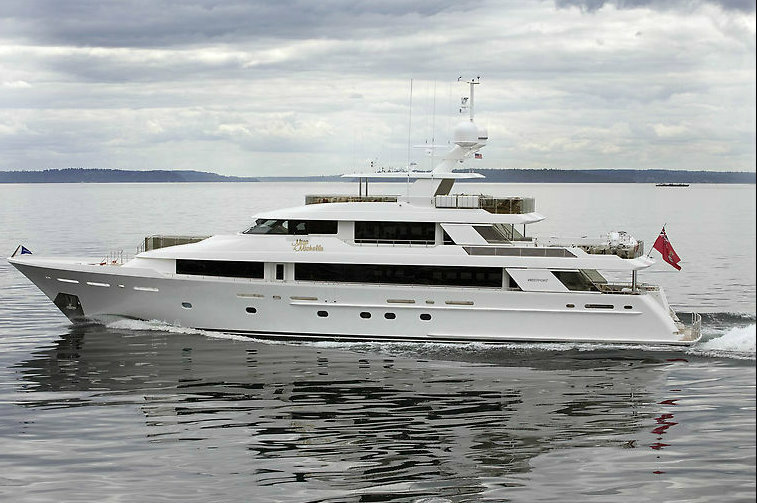 Westport 130 superyacht Winning Drive can easily accommodate 10 guests and 7 professional crew. She features a five-stateroom arrangement with on-deck master stateroom, large salon, dining room as well as spacious deck areas. 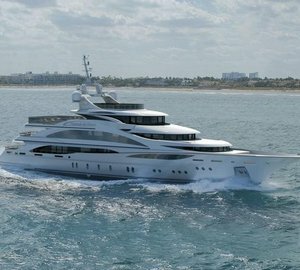 Built in composite, the 40m luxury yacht Winning Drive (ex Susan B) can reach a top speed of 28 knots and a cruising speed of 24 knots, thanks to her twin MTU 12V 4000 M90 engines. Her beam is of 7,92m (25'98''), while her maximum draft is of 1,90m (6'23''). Luxury yacht Winning Drive comfortably sleeps 10 guests and 7 professional crew. She boasts a five-stateroom arrangement with on-deck master stateroom, large salon, dining room as well as spacious deck areas. We do have available further amenity, owner and price information for the 39.62m (129'99'') yacht Winning Drive, so please enquire for more information. The luxury yacht Winning Drive displayed on this page is merely informational and she is not necessarily available for yacht charter or for sale, nor is she represented or marketed in anyway by CharterWorld. This web page and the superyacht information contained herein is not contractual. All yacht specifications and informations are displayed in good faith but CharterWorld does not warrant or assume any legal liability or responsibility for the current accuracy, completeness, validity, or usefulness of any superyacht information and/or images displayed. All boat information is subject to change without prior notice and may not be current.